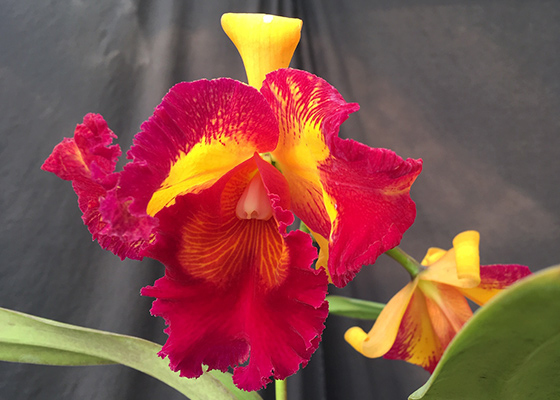 Our most brilliantly colored temperature tolerant Cattleya. Lip and petals are purple-magenta splashed with bright yellow. Beautiful light-rose fragrant. Specimen size plants will carry 5 flowers per spike.Temperature Tolerant. October-November blooming.